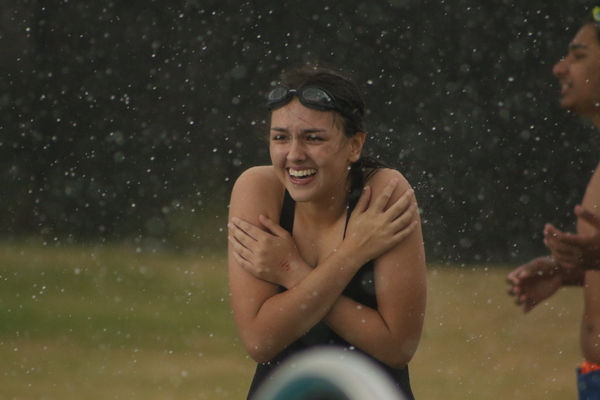 Nossal High School students generated enormous house spirit at the annual swimming carnival on Tuesday. Around 800 staff and students from Nossal High School travelled to Doveton pool for their annual House Swimming Carnival on Tuesday. 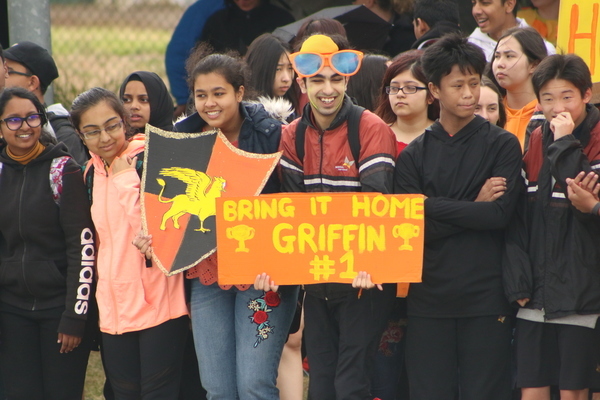 Under threatening skies and with a weather forecast that was predicting rain, wind and storms, students dressed in their house colours and cheered on the intrepid competitors who ignored the cold to focus on winning house points for their respective teams. 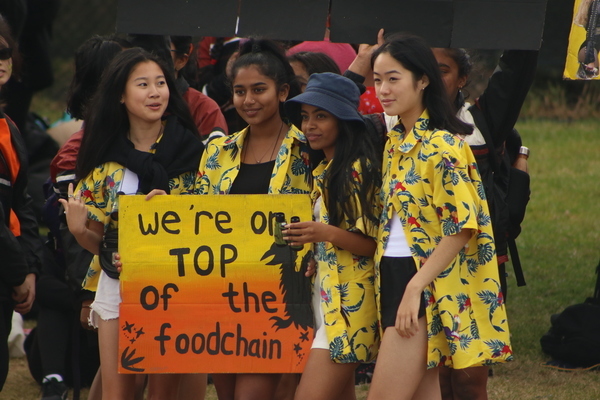 “House competitions are an important part of the school program and staff and students are passionate about their houses and enthusiastically participate in numerous diverse activities and events throughout the year,” Nossal High School principal Roger Page said. 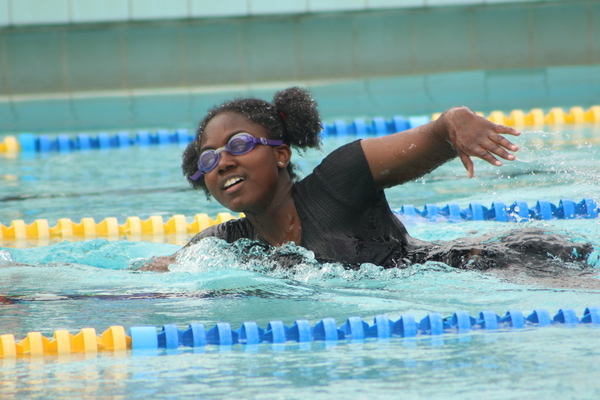 The House Swimming Carnival is the first event for the year and is the first opportunity for the new Year 9 students to join with their house teams to compete, support or organise the events on the day. The school generates enormous house spirit through such events and this was strongly evident this year when the storms hit soaking supporters and competitors alike and ruining signs and costumes. Unfortunately the chilling winds and showers persisted so the spectators reluctantly made their sodden return to school to warm up. Un-phased by the weather the 70 remaining intrepid competitors stayed on to complete their races, supported by some very cold and equally sodden teachers. 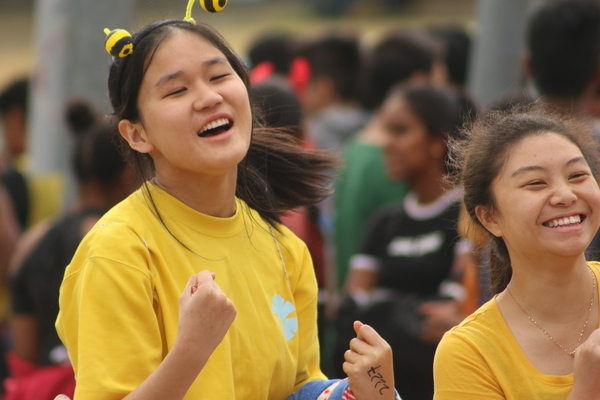 “In spite of the weather the event was highly successful, hotly contested, and the spirit and participation of all students was (as always) positive and joyous,” Mr Page said. At the end of the day the winning team was the mighty Phoenix House, throwing down the gauntlet for the other three houses for the forthcoming athletics carnival.